Who shall declare Thy dazzling wonders, O Lord? Who shall proclaim Thy aweful mystery? For it was Thy will to become incarnate for our sakes, Thou hast made manifest the height of Thy power; on the Cross Thou hast thrown open Paradise to the thief; in the tomb Thou hast torn apart the chains of hell. And Thou hast enriched us all with Thy Resurrection. Glory unto Thee, O compassionate Lord. Not long ago, brethren, we spoke about how people today often forget the most important task which lies before each and every one of us--the task of saving our souls for eternity. This thought about salvation should be the main concern of each believing individual. That great teacher of Christian life, a genuine wise man in the best sense of the word, Bishop Theophan the Recluse, states again and again in his writings and teachings that salvation is possible not only for those who have taken upon themselves a vow to lead a special way of life--monastics, hermits-- but also for those living in the world. Here, too, a person has all the means for saving his soul and for attaining the heights of Christian perfection. ...Let us recall, for example, that great saint who raised a man from the dead, St. Sisoes the Great, a man who in his youth went to the desert. There he lived until deep old age, reaching the highest levels of Christian perfection, to such a degree that he raised the dead, and when he died his face shone like the sun and the room in which he died became filled with a sweet fragrance and everyone present trembled with awe. 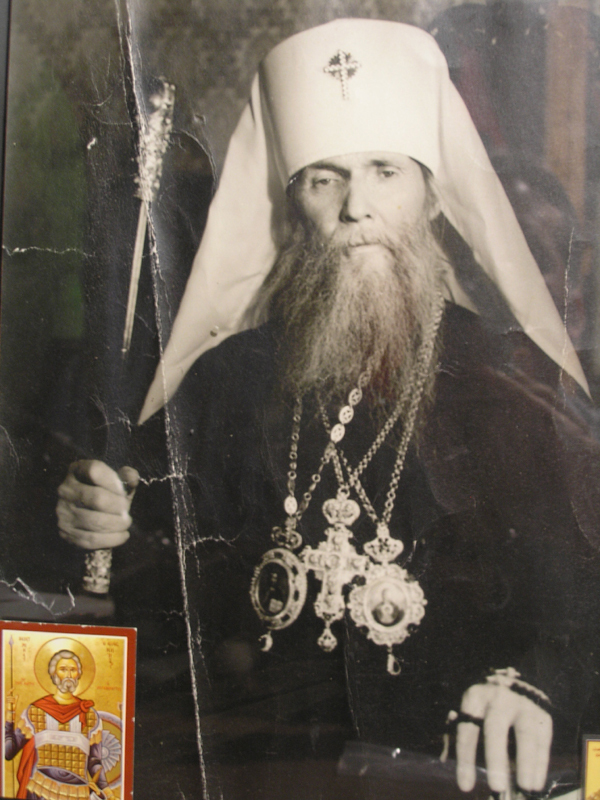 The same blessed ending was granted to another great saint, St. Philaret the Almsgiver. He was not an ascetic, nor did he live in the desert. He had a wife and children and lived a normal life, so to speak. However, he attained such a height of spiritual perfection that his repose was like that of Saint Sisoes: his face shone like the sun, and his room filled with an ineffable fragrance. Bishop Theophan the Recluse points out that the Lord places each person in the best conditions for the salvation of his soul. Of course, it happens that a person goes along his normal pattern of life when suddenly a Divine voice speaks to his heart and changes his life, his entire disposition. But even in more general cases, when a person leads a quite ordinary life, he, too, as Bishop Theophan says, is fully capable of attaining salvation. He has only to direct his life to serving God, this very life he is leading. Bishop Theophan explains this very simply: "You have only to regard everything you do as something which you do primarily for God, before God's all-seeing eyes. Look at your every action in this light! Someone comes to see you, you meet someone... Remember, God sent you this person. On your conscience now lies a responsibility to act towards that person in accordance with the law of Christian love. In this same way you should consider all your actions, no matter how trivial they might seem; regard every occasion as an opportunity to please God." And gradually a person's life will fill up more and more with such God-pleasing actions, and finally, without particularly standing out from among other people, he will stand continually before the Face of God, serving the Lord God. And then his eyes will begin to open and he will be convinced by experience that truly, the Lord sends everything for our salvation and no encounters are coincidental. Today, for example, the Church glorifies the holy Apostle Deacon Philip-not Apostle Philip of the Twelve, who is commemorated later, just before the beginning of the Nativity Fast, but Deacon Philip, who also served in the apostolic ministry. The Lord inspired Philip to go along a certain road. As Philip did so, he met a high-ranking Ethiopian who happened to be reading the Scriptures. By divine inspiration, Philip approached him and asked if he understood what he was reading. The Ethiopian replied, How can I except some man should guide me? (Acts 8:31). Then Philip, at his request, sat down with him in his chariot and explained everything to him. Straightway his soul was illumined by a great faith, and when they came to some water the Ethiopian asked, See, here is water; what doth hinder me to be baptized? Philip answered, If thou believest with all thine heart, thou mayest. And Philip baptized him. From an ordinary point of view, the encounter appears to be purely coincidental: the Ethiopian was traveling his appointed route while Philip was walking on what was perhaps a crossroad. Chances were they wouldn't meet, but meet they did. And it was not at all by coincidence. By God's Providence this encounter took place in order that the Church might receive a new and faithful Christian into her fold, one who later became a martyr. So, these examples show us that it's not right to say that our surroundings or the circumstances of our life do not allow us to save our souls. Of course, one cannot close one's eyes to the fact that today's life is quite different to what it was seventy or eighty years ago; it's more complex and it's also become more corrupt. But the Apostle says, Where sin abounds, there grace abounds the more (cf. Rom. 5:20), i.e., if sin increases, the person desiring salvation experiences an increase in the help of the gracefilled power of the Lord in order that his soul might not be crushed by all that surrounds him but that it remain faithful to God and be saved. Every Christian should remember this. It happens, of course, that some people experience radical changes in life, when the soul catches fire and the person seeks a new way of life and goes after it, but, as you know, this does not happen very often. Each person can save his Christian soul within the given circumstances of his life provided he regard his life and his actions as a kind of service to the Lord God. Amen.